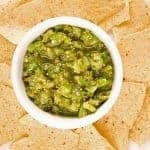 Cinco de Mayo (Spanish for May 5th) is a holiday that honoring Mexico’s defeat over the French army at the Battle of Puebla on the fifth of May, 1862. 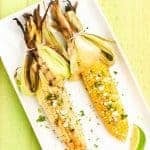 Ironically, Cinco de Mayo celebrations were started here in the US by Mexicans who’d come north into California and Nevada for the Gold Rush. 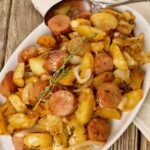 These Mexican-Americans celebrated the battle victory as both a source of national pride and an assurance that the French would not take over their homeland. 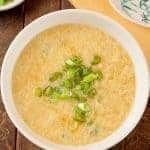 It was believed that the if the French were victorious, they would form an alliance with the Confederate States of America and reestablish the practice of slavery in Mexico. 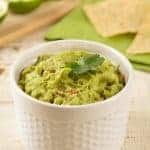 Today, the largest Cinco de Mayo celebrations are held in cities like Los Angeles, San Francisco, Sacramento, Phoenix and Albuquerque, but regardless of your heritage or location, there’s nothing to stop you from celebrating too. 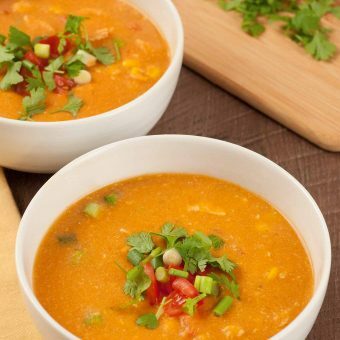 In honor of the day and Mexican-American culture and culinary heritage, we’ve compiled a collection of our ten favorite Mexican-inspired recipes. 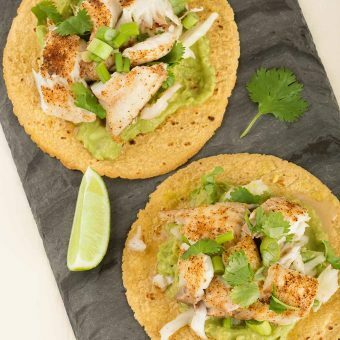 From Broiled Fish Tostadas to Tortilla Soup, each one is easy to make and loaded with fresh ingredients and vibrant flavors. 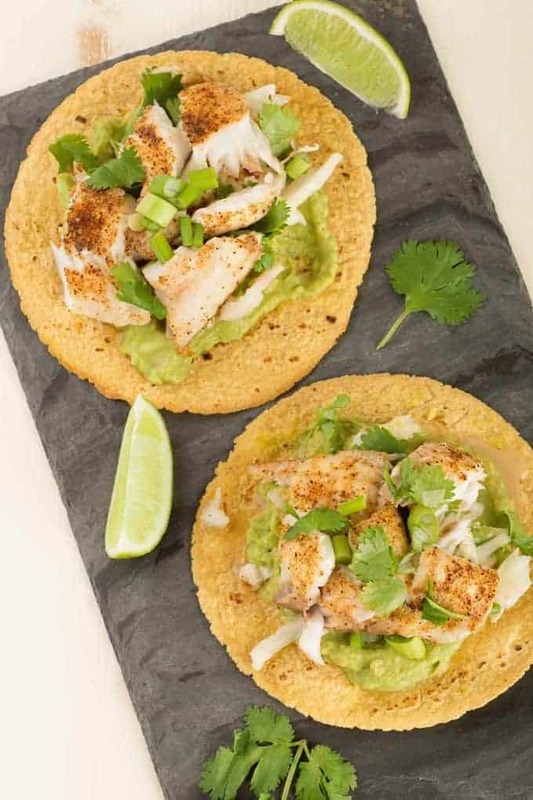 Broiled Fish Tostadas- Ready in a matter of minutes, this tasty tostada recipe is made by layering mashed avocado, quick homemade slaw, broiled fish and sprinkling of scallions and fresh cilantro. 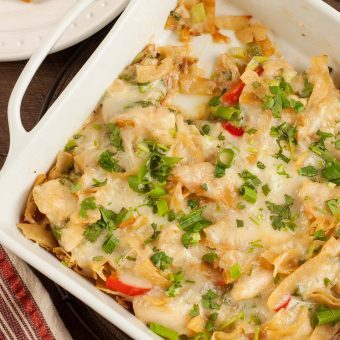 Chicken Chilaquiles Casserole- This tasty variation on traditional Mexican chilaquiles combines layers of fried corn tortilla strips with chicken simmered in a creamy, cilantro-lime sauce and a topping of melted Monterey Jack cheese. 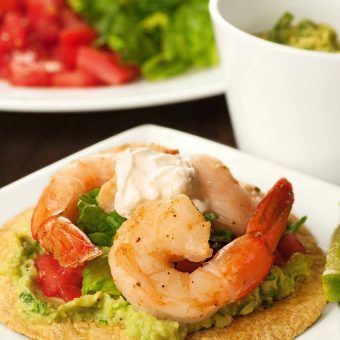 Avocado-Shrimp Tostadas- Crispy corn tortillas topped with fresh-made guacamole, lettuce and flavorful sautéed shrimp make a quick, easy lunch or light dinner. 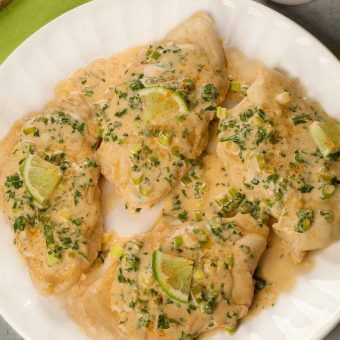 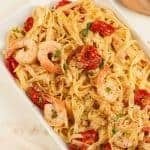 Chicken with Cilantro Lime Cream Sauce- This recipe for boneless chicken breasts is flavored with a spicy seasoning blend and topped with a light, creamy sauce made with fresh lime juice, cilantro and cream. 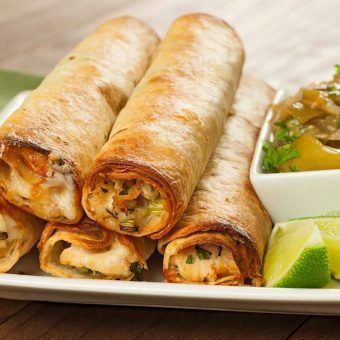 Baked Chicken Flautas with Chunky Tomatillo Sauce- Served with a flavorful, chunky tomatillo sauce, theses flautas are filled with chicken, Pepper Jack cheese, scallions and cilantro and baked in the oven until crisp and lightly browned. 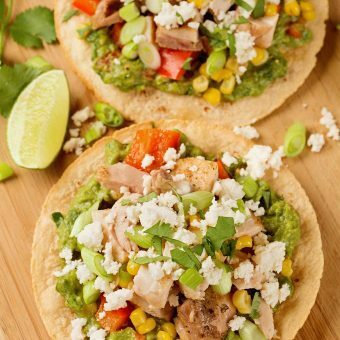 Roasted Chicken Tostadas- Made with oven-crisped corn tortillas, guacamole, roasted chicken, corn, red bell pepper and crumbled cheese these easy tostadas make a tasty, satisfying meal with a Mexican flair. 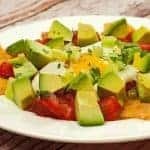 Easy Chicken Tortilla Soup- Flavored with classic Mexican-inspired spices and fresh lime, this tortilla soup recipe is a satisfying combination of chicken, corn, tomatoes and Monterey Jack cheese. 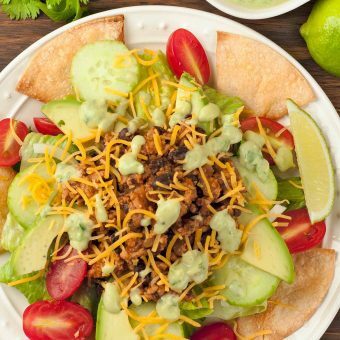 Taco Salad with Avocado Dressing- Made with taco-style spices, ground beef and a creamy avocado dressing, this tasty taco salad is a hearty one-dish meal. 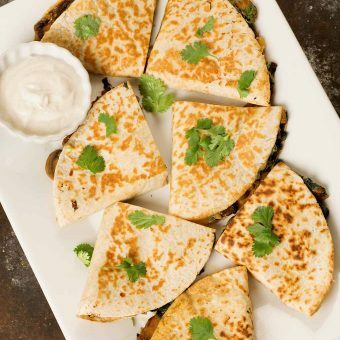 Spinach, Mushroom and Cheese Quesadillas- Made with spinach, mushrooms and tasty blend of Monterey Jack and cheddar cheese, this easy quesadilla recipe makes a satisfying meatless dinner. 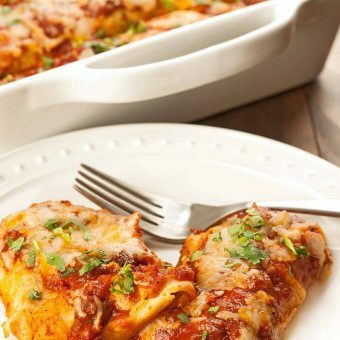 Classic Chicken Enchiladas- Smothered in a zesty homemade sauce, our easy-to-make chicken enchiladas are filled with moist, tender chicken, melted cheese and fresh cilantro.